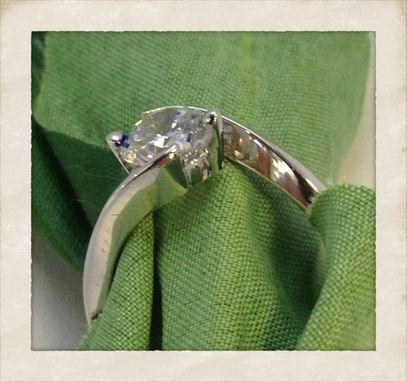 A simple and clean looking solitaire ring. 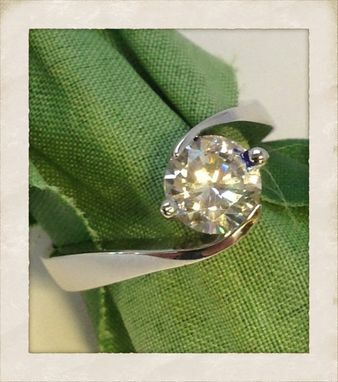 This ring is made for a 1 Carat Size Center Stone, which is offset by a wave design finished in 14kt White gold. The Ring has Two prongs holding the Center Stone. A unique look to a solitaire ring.